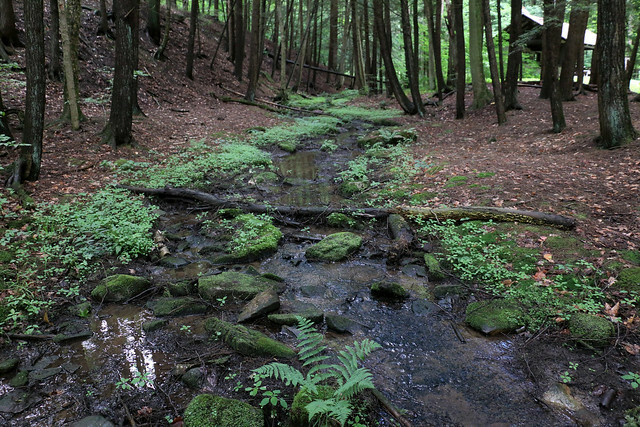 The 386-acre Sizerville State Park is nearly surrounded by Elk State Forest and is close to one of the largest blocks of state forest land in the commonwealth. Sizerville has many recreational and natural opportunities and is a good base for exploring nearby public lands. Sizerville State Park is six miles north of Emporium on PA 155 in Cameron and Potter counties. Held the first Saturday of October, weather permitting, this festival is a celebration of old time skills and crafts. There are make-it and take-it crafts, examples of old time crafts like quilting, tatting, bee keeping, woodcarving, and candle making, and lots of good food. Contact the park office for more information. The park offers a wide variety of environmental education and interpretive programs. Through hands-on activities, guided walks, and evening programs, participants gain appreciation, understanding, and develop a sense of stewardship toward natural and cultural resources. Curriculum-based environmental education programs are available to schools and youth groups. Teacher workshops are available. Group programs must be arranged in advance and may be scheduled by calling the park office. For more detailed information contact the park office. The Environmental Education Building provides exhibits and information on what to do and see while in the area. The native plantings surrounding the building include a butterfly garden that attracts many species.